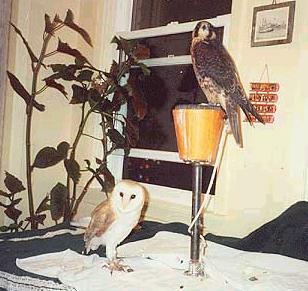 September 2001 -- A quick stop between school visits results in a meeting of the minds between Seamus the barn owl and Oscar the peregrine. As you can see, our educational feathered friends get along well together. The challenge is who gets the perch!